On a recent trip to Barcelona, my sister and I were searching for a particular burger joint. We came across Bacoa by chance and decided to scratch our original idea, because Bacoa really stood out. You order what you want by ticking small boxes on a menu card. You pay at the counter, take your buzzer and your ‘make your own’ cardboard burger holder and then head out to their lovely outdoor area (you can also eat inside, but with Barcelona’s hot and sunny weather, I would recommending sitting outside – great for people watching and also you are right near the beach). When the food arrives at your table, you simply put your burger in your made up burger holder and voila, you are ready to eat! 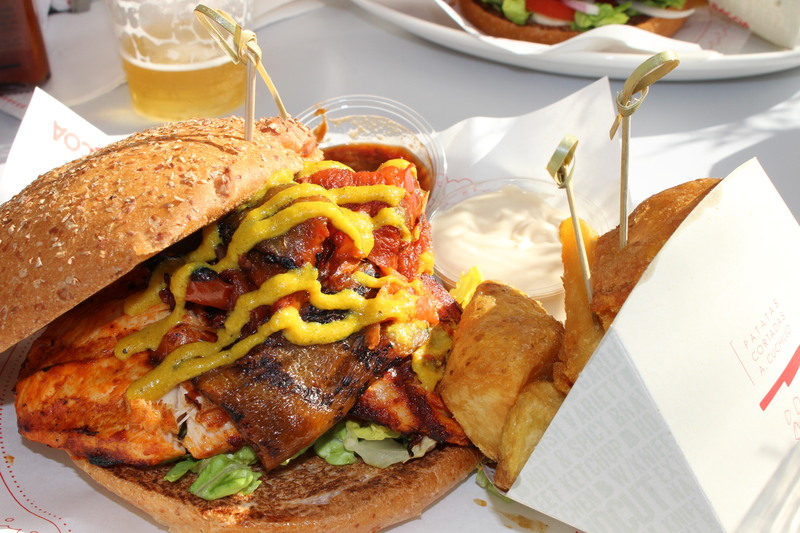 Just a note – their burgers are HUGE and juicy, but oozing with flavour inside. And yes, your hands will get very messy, but it is totally worth it! We loved Bacoa so much the first time that we went back the following night! I tried both the ‘Pollo’ (fresh chicken breast marinated for 12 hours, then char grilled) and also the ‘Japonesa’ (beef glazed with traditional teriyaki sauce). Both were amazing, but the ‘Japonesa’ really stood out. Also, if you are vegetarian or just love vegetarian food, then you are in luck. My sister ordered their ‘vegetariana’ burger twice, because it was THAT good. The patty is made of chickpeas, sweet corn, baby spinach, red pepper and topped with a spicy tomato chutney and creamed goat’s cheese. Ooh la la! 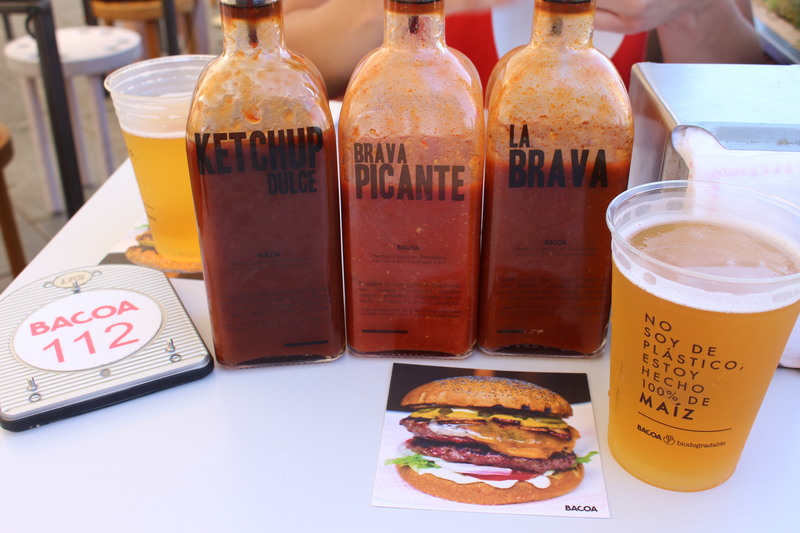 So, if your in need of a burger fix, and you happen to be by the beach, then head to Bacoa now for the best burgers in Barcelona! Yum, I do love a good burger – these look amazing! Thank you! They really were amazing!! !